If you only read the headlines, you could be forgiven for thinking that large majorities of Americans oppose free speech. With Trump tweeting against NFL protests and college students blocking offensively conservative speakers, we might think most Americans agreed that free speech was a dangerous thing. According to new survey data, though, that’s not the case. In The Atlantic recently, Conor Friedersdorf reviewed the survey findings and found some surprising results. For one thing, most Americans want to let even the most offensive speakers have their say. Punch him? Or protect him? Should an executive be fired for harboring racist ideas? A majority (53%) said no. Even a slim majority (51%) of African Americans said no. Should Nazis be violently blocked from expressing their hateful views? Large majorities of minorities said no. Eighty percent of Latinos and almost three-quarters of African Americans wanted to let Nazis speak their piece. What about on campus? It seems that large majorities of respondents agree that some forms of speech deserve to be blocked. If someone calls for violence, for example, 81% of respondents think their speech should not be protected. Saying the Holocaust never happened? 57% of people think such ideas should be blocked. “Outing” illegal immigrants on campus? 65% said no. If someone pulls a James Damore, though, 60% of people think his speech should be protected. And small minorities even want to protect other sorts of offensive speech, including accusations that all Christians are “brainwashed” (51%) or even that some racial minorities have lower IQs (52%). It seems as if there is a lot more agreement about free speech than one might think. Americans in general often don’t know the rules—for example, significant numbers of respondents thought it was already illegal to make racist comments. Overall, however, Americans seem to agree that most speech should be protected, even offensive and possible dangerous speech. If it becomes TOO dangerous, however, we agree it must be stopped. We just don’t agree on where or how to draw that line. Shut Up. No YOU Shut Up. Is it really that simple? Do our current campus “free-speech” debates boil down to a simple shouting match? As we’ve seen, conservatives and progressives have both fought to defend speech they agree with. And both sides have a history of threats and intimidation against speech they don’t. In spite of these similarities, I can’t help but think the two sides are very different. Correct me if I’m wrong. As SAGLRROILYBYGTH are well aware, conservative activists have lately pushed a spate of campus free-speech laws. They hope to force colleges to allow controversial conservative speakers and ideas. Some conservatives think that progressive activists have clamped down on free speech. They cite cases such as the recent hounding of Bret Weinstein at Evergreen State or the smack-down of Charles Murray on Middlebury’s campus. We can’t forget, though, that conservative activists have also clamped down on progressive campus speech. Most recently, we see threats and attacks on John Eric Williams at Trinity (Connecticut) and Dana Cloud at Syracuse. Professor Williams had shared a provocative article about the recent shooting at a Congressional baseball practice. Cloud had called for more counter-protests against anti-Sharia protesters. …a different sort of thing. They aren’t alone. Sarah Bond of the University of Iowa was harassed after she pointed out that most classical statues weren’t originally white. Tommy Curry of Texas A&M was attacked for talking about the history of anti-white violence. Mireille Miller-Young of UC-Santa Barbara given probation for assaulting an anti-abortion protester. In each case, conservatives attacked progressives for using racist, threatening, or violent speech. In each case, activists conducted campaigns to publicize, demonize, and criminalize professors’ speech. So, in some ways, we’ve come to the old school-yard standoff. Both sides insist on free speech for their own views and both sides use violence and intimidation to shut off speech by their opponents. We can take it even further. Both sides seem untroubled by the actual content of their opponents’ speech. At Middlebury, for example, progressive protesters seemed unaware of Charles Murray’s actual topic. And in Iowa, conservative protesters did not bother to read Professor Bond’s argument about historical whiteness. Does that mean that the two sides are roughly equal? I don’t think so. I might be confused by my own sympathies, but to my mind the two sides are very different. On one hand, we have student protesters on campuses shouting down speakers they find dangerous. At Middlebury, it descended into thuggery and violence. On the other hand, we have conservative legislators and online commentators hoping to earn points by publicizing the things progressive professors say. Time after time, we see the same political blocs lining up: Progressive protesters pull from student ranks and shout down conservative speakers. They make their campuses unwelcome zones for conservative pundits. Conservative protesters line up lawmakers and online networks to fire professors, charge them with crimes, and threaten their physical safety, wherever they might be. The political power—yes, including the potential of vigilante violence—of conservatives seems far higher. In short, I would rather be Professor Weinstein facing an angry crowd of unreasonable students than Professor Williams walking alone at night. Anonymous threats online against progressive professors scare me. Student protesters at an announced speech don’t. I understand I’m biased. I sympathize with my fellow progressive professors and our activist students. Not that I think we are always right or free of dangerous tendencies, but the worst-case scenario of left-wing student violence seems far less dangerous than its opposite number. From the other side, I’m swayed and intimidated by the enormous political power of conservative educational activists, both legally and outside the law. 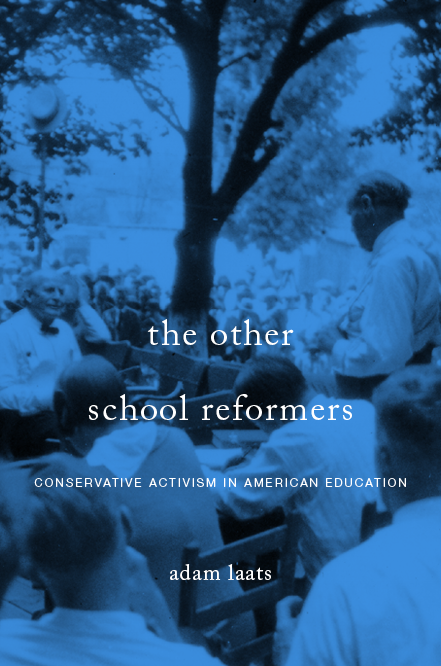 As I wrote in my recent book about twentieth-century educational conservatism, the vigilante violence in school controversies has always been dominated by conservative activists. From the Ku Klux Klan to the American Legion to Kanawha County’s extremists, the use of political violence has been most often the tool of the right. From that perspective, it seems to me to be unfair to lump all anti-free-speech protests together. Yes, both sides are prone to frightening excesses. And yes, both sides seem willing to defend free speech only when they agree with it. But that doesn’t make them the same. Is even the vilest speech protected? The expulsions of racist chanters at the University of Oklahoma has riled up conservative commentators. No matter how hateful the speech, some say, colleges have no right to expel students for exercising their rights to say it. I can’t help but think that the real target of conservative ire is the current vibe on college campuses. In this case, the speech in question was undeniably horrifying. Frat members sang along that Sigma Alpha Epsilon would never welcome an African American member. Of course, they used a much more offensive term than “African American.” They cheerfully shouted that they could lynch any offender. Horrible stuff. Eugene Volokh of the Volokh Conspiracy thinks so. There is no exception to free-speech rights for racist language, even language that creates “hostile environments.” Unless one is issuing specific threats, one may even use language that suggests violence. Voices of protest? Or drunken howl? At National Review, David French agrees. In its rush to justice, French says, the university failed to observe basic constitutional principles. It was entirely right and just for the national officers of the fraternity to punish the Oklahoma chapter. And it seems fair that the Sooner football team will now lose a prize recruit—to Alabama, no less. But such private-party sanctions are different than official university sanctions. are becoming national leaders in trampling the Constitution to legislate their brand of “inclusive” morality. I understand the argument. And generally, in these pages, I try to refrain from injecting my own opinions. I can’t help but wonder, though, if these conservative intellectuals have over-stepped in their constitutional rationalizations. It seems some conservatives are too quick to protest any action by the leaders of today’s universities. As I argue in my new book, this anti-university tradition among conservative intellectuals has a long history. Beginning in the late nineteenth century, conservative thinkers bemoaned the changes taking place at leading schools. Instead of passing along time-tested truths, universities made it their job to subvert and question those ideas. There seems to be an important difference, though, between speech meant to protest against existing conditions and the SAE’s brand of exuberantly hateful race-baiting. The students in this case were not engaged in thoughtful commentary on unfair conditions. They did not hope to attract attention to their cause by using intentionally inflammatory language. Instead, this looks like a drunken outburst of knee-jerk segregationism, a case in which vino exposed a terrible veritas. When exposed, the expelled students did not defend their actions on the grounds of free speech. Rather, they humbly acknowledged the shamefulness of their actions. Indeed, it might have been more compelling as a free-speech case if the students had defended their outburst. If, that is, students had been even more painfully racist; if they had been intentionally offensive and if they had knowingly provoked this sort of reaction, then they would have a better claim to constitutional protection. It seems to me, though, that these students are merely petty campus despots, shouting in secret language that they abjure in public. Does it count as an exercise of free speech when even the speakers find it offensive? Jonathan Zimmerman wants students in public schools to be able to wear any kind of t-shirt they want. As Our Man in Scotland commented yesterday about the Philadelphia t-shirt controversy, Sam Pawlucy would not likely have received such enthusiastic support if her shirt had not supported GOP candidate Romney. Zimmerman agrees. The point of free speech, Zimmerman argues, is not to protect speech with which we agree. The point of free speech is to protect all forms of speech, even and especially those phrases that are offensive or controversial.